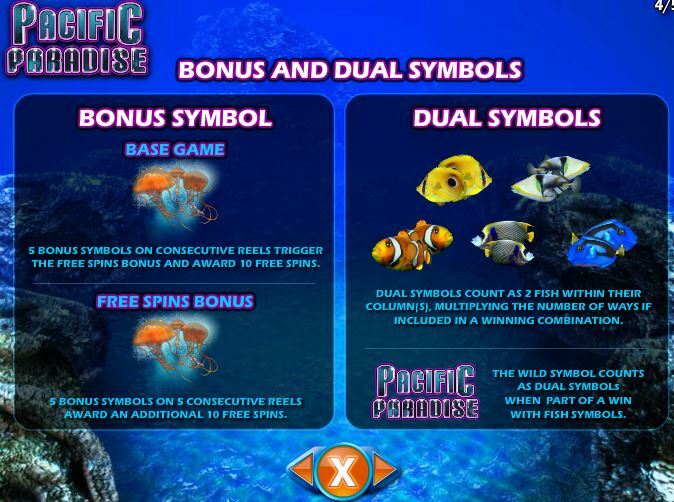 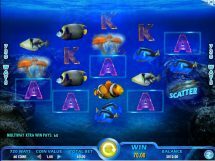 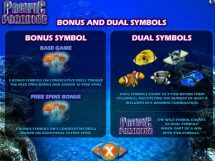 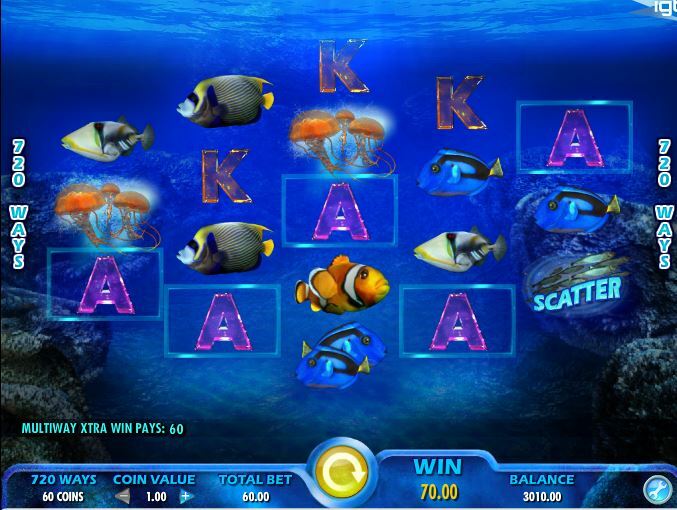 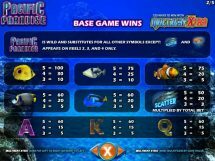 Pacific Paradise slot a more modern IGT 720-way slot with a fishy theme! 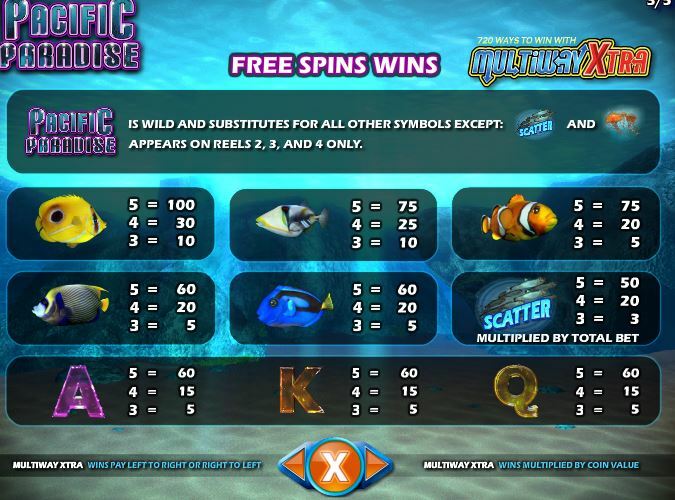 It’s slightly different to others in the series like Sumatran Storm in that yes, you need the bonus trigger symbol on every reel but they are single only not stacked, so you get a fixed 10 free games. 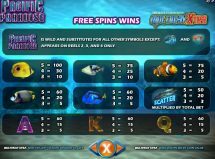 Wilds appear on reels 2, 3 and 4 and of course the retriggerable free games have enhanced middle reels . 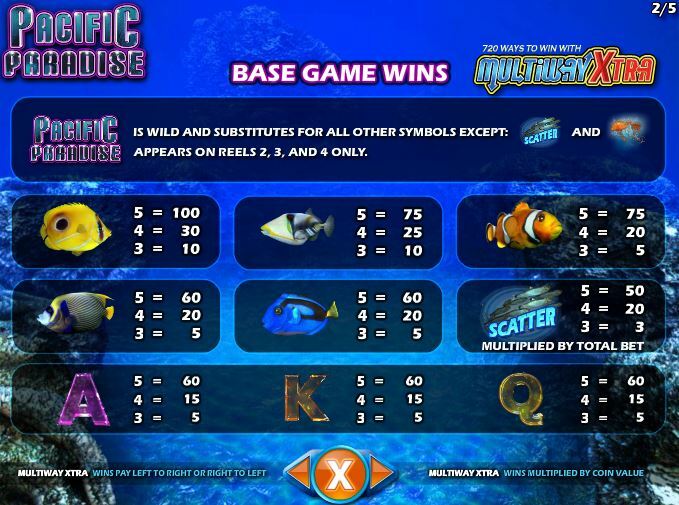 The RTP is standard for the series at 92.42-96.43% and the named scatters simply pay cash for 3, 4 or 5.